Hello and welcome to our new blog! We’ll be keeping you updated on all that’s going on at Trackener over the next few months leading up to our product launch. But first, here’s our story so far! Ever since an early age, Trackener founder Pauline Issard has been caring for horses. As all of us horse owners would agree, health and welfare are at the top of the priority list when it comes to owning a horse. Despite this, Pauline recounts seeing frustration in horse owners time and time again. 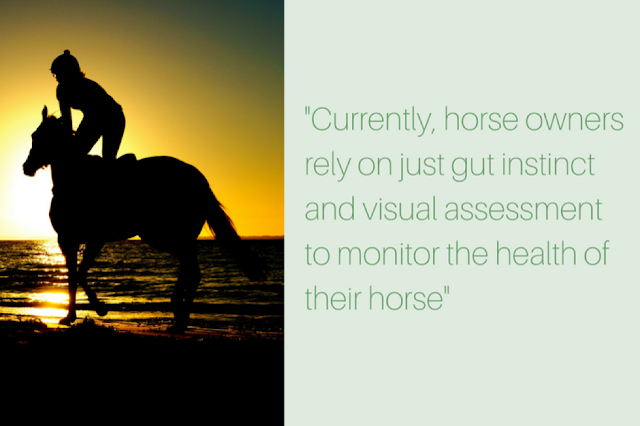 No matter how much money, time and attention to detail that owners provide, their horses still suffered from health problems. Before moving to London, Pauline studied engineering back home in France as well as gaining product development experience at the renowned sportswear manufacturer 'Adidas'. Despite living far away from any horses in the heart of London, the idea of improving horse health care still played on her mind. You wouldn’t leave a young child at home in the morning, go out all day, come back and expect everything to be fine – so why do we do it to our horses? 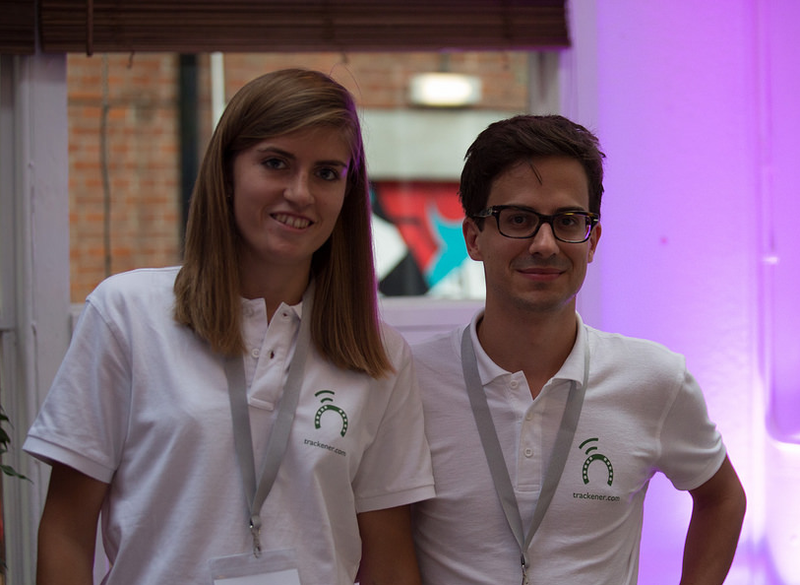 In 2015, company founder Pauline Issard was studying at University College London for an MSc in Technology Entrepreneurship. It was here that she met Jeremie Charlet, who had spent the last four years working on innovative software projects. Jeremie would admit that although he isn’t quite Monty Roberts yet, he has a good understanding of the horse world as he comes from an equestrian family. He recognised Pauline’s frustration with the lack of technology in the horse world and after a few months testing a basic prototype, Trackener Ltd was formed in September 2015. "Trackener is an exciting innovation that should help owners better understand their horse's behaviour and health, making it easier to detect problems early on in the course of their condition, thus significantly improving horse welfare." 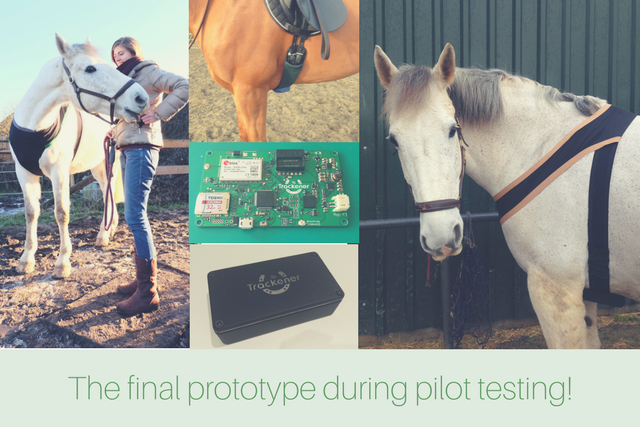 In these final months before our product launch, we have been adding the final touches to the design and pilot testing Trackener with a large selection of amateur and professional riders across the UK. We are very lucky to work with sportswear designer Paula Keech, who has done a fantastic job in designing our horse bib and girth sleeve. 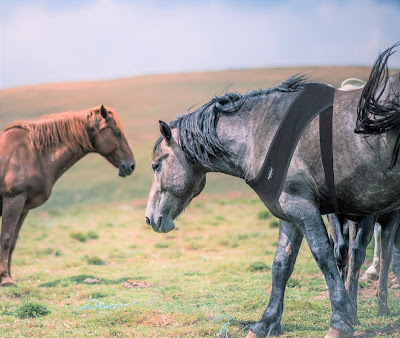 The wearable, which is manufactured by Shires, has been designed to withstand the rigours of equestrian life but proves to be no hindrance to the horses day to day activity. If you're interested in testing out our product, sign up here for your chance to be selected as a beta tester and receive 30% off when we launch Trackener this summer. As well as product testing, In the past month we've also enjoyed getting out and about with our trade stand . 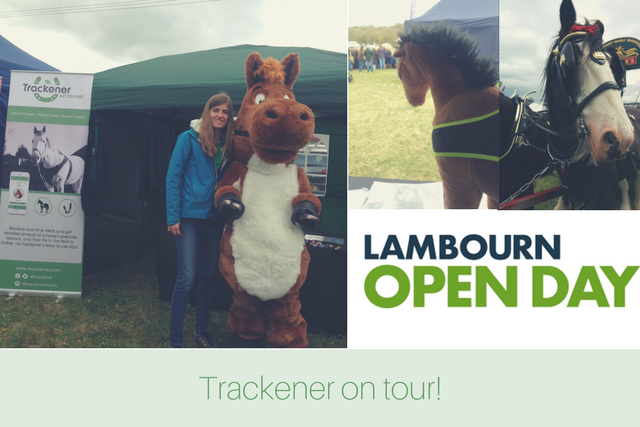 Last weekend we exhibited at the Lambourn Open Day. The open day is an opportunity to get an insight into life at top racehorse training yards and meet everyone behind the scenes, first and foremost the horses but also the jockeys and staff. It was great to get out of London and interact with racehorse trainers and horse owners who all showed a great interest in our product. We're currently planning some more events to feature at over the summer, so keep checking our website and social media channels to see where we're at! 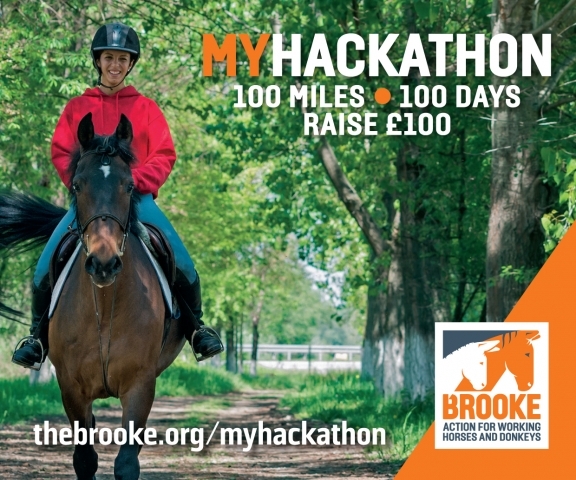 And that brings us to now, if you've been following our Facebook, Twitter and Instagram you'll see that we have been working alongside the equine charity 'Brooke' for their #MyHackathon campaign. The Brooke is an international animal welfare charity that work to improve the lives of working horses, donkeys, mules and the people who depend on them. The challenge of #MyHackathon is to ride 100 miles in 100 days and raise £100 for the charity, you can track your rides using a stand alone smartphone application that we have developed. In our next blog we'll give you more of an insight into our work with #TheBrooke. But if you fancy giving MyHackathon a go, sign up here to get exclusive access to our app. Hi, my name Elliot and I'm very excited to be contracted to look after Trackener's marketing. I work in a field based role on a flexible hours basis as a lot of my time is spent on the road as an eventing groom! I have a degree in 'International Equine and Agricultural Business Management' from the Royal Agricultural University, and currently work for two Japanese event riders. I have had the pleasure of working with some amazing horses at events all across Europe as well as the Olympic Games in Rio de Janeiro. I really enjoy all the opportunities I get to travel, flying with horses to the Olympics has to be the highlight so far and I cant wait for the next few years in the build up to Tokyo 2020.